The Corn lab has been a frenzy of activity in preparation for the move to ETH Zurich. We missed posting news of several publications at the time they happened, so here’s a big post to get us up to date. Many thanks to our wonderful collaborators and congratulations to everyone involved in these awesome pieces of research! This paper was a fun collaboration with the lab of Rachel Klevit. BRCA1 gets a lot of press, but does its binding partner matter just as much? Our contribution was to use genome editing to make several BARD1 mutant MCF10A clones and determine how they affected regulation of BRCA1/BARD1 target genes. Want a hands-on introduction to using the Cas9 RNP, complete with high-quality video how-tos? Then check this one out! This paper was organized by Megan Hochstrasser, the outstanding IGI communications director, and is a collaboration with the labs of Alex Marson, Barbara Meyer, and Nipam Patel. When using the Cas9 RNP for editing, it’s fast, cheap, and easy to use IVT to make guide RNAs. We’ve written a widely-used protocol on making guide RNAs in very high throughput. But it turns out that leaving the 3′ triphosphate on these guide RNAs can make primary cells freak out due to innate immune sensing. Read this paper to find out a quick fix (beyond using synthetic guide RNAs). This was a collaboration with Kathleen Pestal. CRISPR-Cas9 genome editing in human cells occurs via the Fanconi anemia pathway. How does genome editing even work? Cas9 and other Cas proteins just make breaks in genomes. Everything else is up to the cell. This paper uses a new screening approach to simultaneously test thousands of genes for their involvement in genome editing. Surprisingly, the Fanconi Anemia crosslink repair pathway is critically important for HDR from a single stranded DNA donor. This was a fun collaboration with Stephen Floor. Atlastins remodel the endoplasmic reticulum for selective autophagy. Cells can eat their own organelles via autophagy, and even somehow take apart the endoplasmic reticulum and package it into lysosomes. This manuscript develops several highly sensitive and quantitative reporters for ER-autophagy. Using these, we find that ER-resident proteins called atlastins are required for ER remodeling during ER-autophagy. Human mutations in atlastins cause paraplegias that are very similar to the phenotypes of mice with mutations in other known ER-autophagy proteins. Paraplegias may be a common outcome of defects in ER-autophagy, much as Parkinson’s Disease is a common outcome of defects in mitochondrial-autophagy. The work of IGI scientists “Discovery of stimulation-responsive immune enhancers with CRISPR activation” was recently published in Nature. The researchers used CRISPR activation to find DNA “switches” that control key genes in the immune response and autoimmune disease. Post-doc Benjamin Gowen and PhD student Dimitre Simeonov were the lead authors. IGI Scientific Director Jacob Corn and IGI affiliate Alexander Marson jointly supervised the work. Important contributions were made by several Corn Lab members and alumni, including Mandy Boontanrart, Nicolas Bray, Therese Mitros, Jordan Ray, Gemma Curie, Nicki Naddaf, Julia Chu, and Hong Ma. A summary of the research was featured by the UCSF News Center. IGI Project Scientist Mark DeWitt and Scientific Director Jacob Corn have published a paper ” Genome editing via delivery of Cas9 ribonucleoprotein” with our collaborator Professor Dana Carroll in Methods recently. This is a how-to guide for how to use the Cas9 RNP for high efficiency genome editing. It walks the reader through experimental design, the editing workflow itself, and analysis of edited cells. Our lab, in collaboration with globinopathy experts and sickle cell clinicians, have taken a key step toward a cure for sickle cell disease (SCD), using CRISPR-Cas9 genome engineering technology to reverse the disease-causing gene in stem cells from the blood of affected patients. 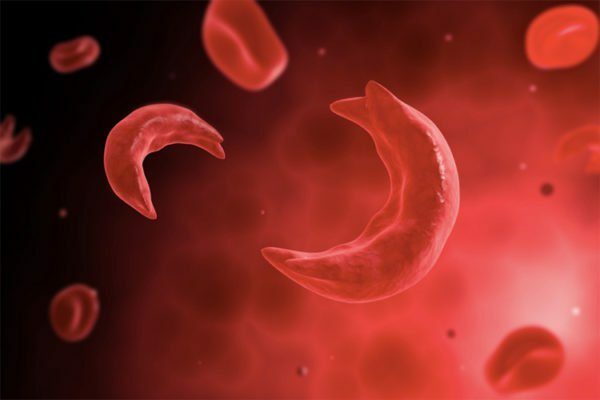 For the first time, the genetic modification occurs in a sufficient proportion of stem cells to produce a substantial benefit in sickle cell patients. SCD primarily afflicts those of African descent and leads to anemia, painful blood blockages, and early death. In collaboration with the UCSF Benioff Children’s Hospital Oakland Research Institute (CHORI) and the University of Utah School of Medicine, we showed that edited cells persist when transplanted into mice, an important factor in developing a lasting therapy. We’re aiming to improve the efficiency of their approach and perform large-scale studies in mice before attempting it in humans. Our lab hopes to work with Dr. Mark Walters, MD, an expert in curative treatments for sickle cell disease (such as bone marrow transplant and gene therapy), to design and initiate an early-phase clinical trial to test this new treatment within the next five years. Eventually, we hope to re-infuse patients with edited stem cells in order to alleviate symptoms of sickle cell disease. IGI Co-Director Jonathan Weissman, Scientific Director Jacob Corn, Research Scientist Chong Park, and other colleagues have developed the next generation of guide RNAs (gRNAs) for high-throughput CRISPR screens. Establishing rules for the design of effective gRNAs is critical to making CRISPR activation and repression screens more specific and robust. Based on recent observations that compacted DNA inhibits Cas9 access, the team modified their guide RNA design algorithm to target more open, expanded regions of human and mouse genomes. Taking chromatin, position, and sequence features into account allowed for the design of highly active guide RNA libraries. gRNA library design tools are available on Github. The improved gRNA libraries will soon be available on AddGene. IGI Researchers have discovered a way to increase the efficiency with which CRISPR-Cas9 technology cuts and disables genes in cells. In culture, “knockout” cell lines allow researchers to better understand the role of genetic information, and may eventually improve therapies for human genetic diseases. IGI researchers have recently made significant strides in improving the efficiency of CRISPR-Cas9 technology, as well as our understanding of its versatility in repairing genetic information within a cell. In a paper published today in the journal Nature Biotechnology, IGI Scientific Director, Jacob Corn, and IGI postdoc Chris Richardson reveal that they have invented a new approach that improves the patching efficiency of Cas9-induced DNA breaks. The new technique allows researchers to patch a section of DNA by inserting different genetic information, and it is especially useful when trying to repair genetic mutations that cause hereditary diseases such as sickle cell disease or severe combined immune deficiency. The precision of CRISPR-Cas9 technology in cutting DNA at precise locations has propelled a revolution in genetic engineering worldwide. The process of making exact and accurate changes to the genetic code after a DNA break, however, has proved to be a much more challenging process, but this new approach will enable researchers to more efficiently alter the genetic code by using CRISPR-Cas9 technology to accurately insert new genetic information into the break.